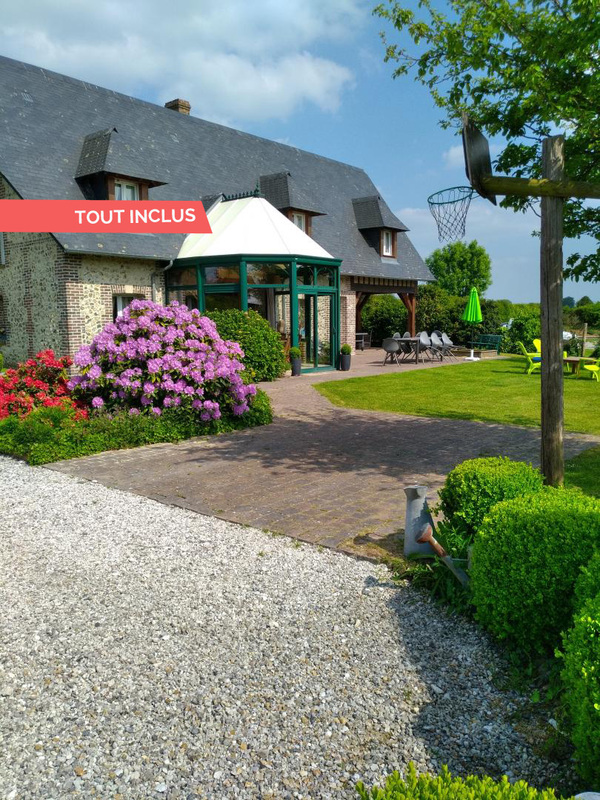 Family-friendly rural cottage in Honfleur with Tourism and Handicap label. Ground floor: living room with a central, round fireplace, kitchenette, 1 bedroom (1 double bed), shower room with toilet. 1st floor: 2 bedrooms (2 double beds, 3 single beds, 1 cot), bathroom (balneo bathtub), toilet. Electric heating, microwave, tumble-dryer, sandpit, table tennis. Internet access. 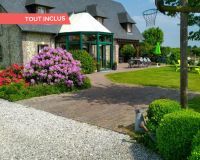 The traditional character of this building, formerly a farm building, combined with its modern elements, gives an exceptional style to this comfortable gite. The quietness, the lush environment and its easy access to Honfleur are also delightful. A 1500m² garden with a small slide, basket ball net. Electricity charges : 8KWH/day included in the price, in case of overconsumtpion extra payment per additional KWH, from October to April.